1. Thank you for taking time from your important work. Let me start by asking this: You write a lot about the “First” and “Third World.” Can you explain what you mean? We are not the first to divide up human society into “worlds” or similar entities. When we talk of “worlds,” we are using a shorthand. It’s a kind of functionalist category that we use to explain human behavior and potential behavior at the global level. It is not unlike how we use the concept of “class” to describe the behavior and potential behavior of human aggregates. There is the view that informed the outlook around the time of the Bandung Conference in 1955 and after. It is a view that divided the world into the Western imperialists, which was a kind of “First World.” Then there was the “Second World” of the socialist camp. Then there was the “Third World” of the colonies, neo-colonies, and poor post-colonies. Later, there is another outlook of the Chinese Communist Party of the Lin Biao era. This outlook divided the world into a “global city,” which was made up of the rich countries and Russia, and a “global countryside,” of the poor countries, including the many of the Russian colonies in Eastern Europe. This was the official outlook of the Chinese Communist Party from about 1965 to 1970. This was when Lin Biao was riding high as Mao Zedong’s successor, vice-Chairman, “closest comrade-in-arms,” “best student,” and so on. Lin Biao was being positioned as the high priest the Mao cult. He, and I am using “he” as a shorthand to really mean “his team,” was to be the main interpreter of Maoism. For various reasons, Lin Biao was murdered as a result of a political struggle. Mao wanted to pull back the revolution in the 1970s. Mao began to align with the West. So, then, there is the outlook of Mao’s “Three Worlds Theory” of the 1970s, after Lin Biao’s death. This was a view that divided countries up by military strength. The “First World” was made up of the powerful imperialists, the United States and Soviet Union. The “Second World” was made up of lesser powers like the European powers and Japan. The “Third World” was made up of the colonies, neo-colonies, and post-colonies. Sometimes people mistakenly think Mao’s main error was his “Three Worlds Theory” because it led to the alliance with the West. This really mistakes things. “Three Worlds Theory” was not guiding Chinese policy. China was shifting rightward in foreign policy years before the theory was introduced. Mao began shifting rightward on this issue even as early as 1968 and 1969, as he was ending the Cultural Revolution. Rather, the theory was a prop. This theory was a kind of window dressing that was used to give the appearance of justification to Mao’s anti-Soviet, pro-Western geopolitics. It was used to run interference on critics from the left. In any case, all these kinds of views are often mixed up with each other, but they are very different. They have very different policies associated with them. And, historically, they were often in opposition to each other. Our concept of the “First World” and “Third World” is different than all previous usages. Of the previous views, Lin Biao’s is the most accurate, but it still has deficiencies. Firstly, we do not simply apply the concept to just countries. It is because of traditional colonization and the national liberation struggles that many have tended to regard single countries as the basic units of analysis. We see this as not always accurate or the best way to go about things. Some have criticized such a view on the basis that the country borders are artificial. Such borders were often drawn by the imperialists themselves. Some micronationalists have advocated that single nations, not multinational countries, ought be the basic unit of analysis. For example, they will say that the “Black Nation” inside the borders of the country of the United States belongs to a particular world. Or they will say the Maya in Mexico belong to a particular world. Almost all countries today are multi-national ones, so they push the analysis down a level. They tend to think that revolution should happen on a micronational basis, with each nation having its own leadership, perhaps even its own ideology. Their view of a perfect world is one in which all micronations are independent, do not step on each others’ toes, and do not interfere with each other. It is the view associated with racial separatists movements. David Duke, the ex-Klan leader-turned-congressman, has such a view. Some Black and Chicano nationalists have similar views. They may disagree about how the borders are to be drawn or which nation has the right to exist here or there, but the ideologies are similar in their stated goals. It is a view also associated with the fantasy of northern Korean life, although, in reality, northern Korea is very dependent other countries despite its Juche rhetoric of independence and self-sufficiency. It is a view sometimes associated with Third Positionism and “left” fascism. We could call this view “pan-nationalism.” Our view is very different. It does not break humanity down into either countries or micronations. Our view is more in-line with the original Marxist aspiration to overcome artificial barriers dividing humanity. 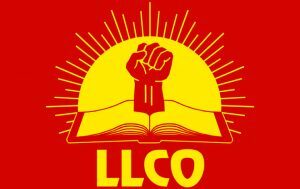 Our ideal is one humanity united by one ideology, revolutionary science, all-powerful, awesome Leading Light Communism. Tactically, we may have to work on a micronational or country-wide basis, but we should always aspire to make revolution in the biggest geographic area as possible at any given time. Thus for us, our basic unit is the Third World as a whole, although we divide that into zones on a practical basis. However, a zone in not based on anything except that it is the biggest area we feel comfortable managing at a particular time. Thus a zone is not as static as a country or nation is. A zone is based more our capabilities than anything else, although, naturally, social geographies play into it that. Our main area of operation is the Bangla Zone, but when we feel comfortable expanding beyond that, there is no reason not to extend our reach into say, Myanmar or the Hindi regions of India. We are also setting up zonal operations elsewhere, but that is deep politics. Secondly, we base our view on standard of living of a population as a whole. Things like income, consumption levels, etc. give us a good idea about this. In this sense, even though the United States as a whole may be militarily and politically more powerful than, say, Switzerland, the latter is more First World. This is a big difference between our concept and Mao’s, for example. Also, our concept is not necessarily tied to economic or political independence or development, whatever that means. For example, imagine a country whose population is very wealthy, but also very small so that its economy was only based on oil such that it could not defend itself without outside help. So, it was still dependent in important respects. On our view, such a country, perhaps not unlike some Arab Gulf states, is still First World. Thus our view departs a bit from the Bandung inspired view, which tended to lump the one-time colonies, even the wealthy ones, into the same category as their poorer neighbors. Our view is that the Saudis are more similar in terms of interest to the people of the United States than either are to the Palestinians. This is true, even though pan-Arabists will argue that the Saudis and Palestinians are really one nation. This is what we have discussed earlier about how national liberation and similar outlooks were tied to the classic model of colonization that has long since broken down. Thus, we must find new ways to understand the emerging Empire and resistance to it. This is one of the main breakthroughs of today’s revolutionary science, Leading Light Communism. Thirdly, the traditional concepts of worlds were sharply defined. We do not look at things through the lenses of traditional Aristotelian categories. This also ties into another question. People always ask us about the “Second World.” Our view is that when we talk about the First World and Third World, we are talking about poles on a continuum. Think of a spectrum, a single axis from right to left, with a “1” on the left and a “3” on the right. Some countries, micronations, regions, geographic areas, zone are more First World than others. They fall closer to the “1.” Others are more Third World. They fall closer to the “3.” If one must have a concept of a Second World, then it could occupy a position, perhaps equidistant, between to two poles. We might represent the United States by a “U” and place it nearer to the “1” than Portugal, which we represent with a “P.” Or, we might represent Switzerland with an “S,” and place it closer to the “1” than the United States. Similarly, we could do the same thing with “C” for Chile, “M” for Mexico, and “B” for Bangladesh. 2. You are definitely breaking new scientific ground. You mention science often. You’ve written a lot on the topic lately. Why is your theory of worlds more scientific than others? This kind of theory is one of behavior and potential behavior of human aggregates at the global level. Sometimes we call it “Global Class Analysis.” This is why we use the terms “First World” and “Bourgeois World” interchangeably, similarly with “Third World” and “Proletarian World.” If people want, replace the “1” in the chart with a “B.” Change the “3” with a “P.” What makes one theory better than another? More scientific? As I have said so many times, it has nothing to do with metaphysics, even in its dialectical varieties. It isn’t some “dialectical method” or “dialectical underpinning” that makes one theory better than another. It has to do with a theory being a good tool with predictive power and explanatory power. These are not the same things exactly, although there are sophisticated approaches to try to reduce these two things down to one measure, but this is far too advanced for this interview. Imagine another graph with a horizontal axis labeled “PP” for “predictive power” and a vertical axis labeled “EP” for “explanatory power.” For this discussion, we’ll say they are not the same thing. The classic example of why they are not the same can be seen in the competition between the Copernican model, the heliocentric model, planets going around the sun, of the solar system verses the pre-Copernican model, the geocentric model, celestial bodies going around the Earth, with its epicycles. The epicycle model had been refined over a long period of time, so it mapped out the motions of the solar system very well. It had a higher degree of predictive power. In fact, when the Copernican model was originally introduced, the pre-Copernican model had more predictive power than the Copernican model. This was because the Copernican model had not been refined as much. The Copernican model was initially using circular, not elliptical orbits. So, it was generating more false predictions. So, strictly speaking, there would be no basis to switch paradigms to the Copernican model if predictive power was our only measure for a theory. However, as we all know, the Copernican model of planets going around the sun won out. This is what we use today. This is because science is not just about prediction, it is about meaningful prediction, it is about explanation too. Science is also about explanatory power. The pre-Copernican approach, the epicycle model, may have mapped the motions of the heavenly bodies more accurately, but there was no rhyme or reason to their motions. Their motions were simply mapped. And, if there was some new motion that was observed that had not been known before, they simply posited an ad hoc epicycle to account for it. So, even though the pre-Copernican model generated more correct predictions, it had no real explanatory power. One reason it evolved as it did was it cohered with the medieval intellectual view inherited from Aristotle. According to this view, the cosmos was like an onion with the Earth being the center. That was said to be why objects fell when dropped. They were said to go toward the center, where they naturally belonged. Cohering with this broader view was seen to have some explanatory power. However, in reality, cohering with a false, but widely accepted worldview, does not add to a theory’s power. To choose it over the Copernican model violates one of the main laws of explanatory power, Occam’s Razor. Simpler theories, those that say more with less, account for more with less, generate more correct predictions and exclude more incorrect predictions with less, are better than complicated ones. Even with its initial predictive weakness vis-a-vis the earlier model, the scientific community realized that the Copernican model had more potential. And the Copernican model was eventually refined to have both more explanatory and predictive power. When a theory has both more predictive and more explanatory power than another, saying it is “more scientific” is always more justified. However, there are hard cases. A theory can have more predictive power, but less explanatory power than another. A theory can have more explanatory, but less predictive than another. Say we have two theories. One has the coordinates of 6 on the PP-axis and 7 on the EP-axis. The other has a 7,6 position. Or a conflict between a 5,6 and a 4,8? There are many times when there simply is not enough information to choose between theories. They are too close in terms of overall virtue. When theories are too close to each other, the scientific community simply has to continue its work gathering information, testing, weighing evidence until one theory comes out on top. This happens all the time in science. A new, but not as refined, theory comes onto the scene, but it takes time for it to gather enough strength and refinement to shift the paradigm of the scientific community. In reality, things are a lot more complicated than what I have presented here. Nonetheless, even understanding this basic outlook would be an epistemological advance for those revisionists claiming to be Marxists today. There are other, higher, more advanced models all-powerful, awesome Leading Light Communism has developed, but we need to take things step by step. In any case, our Global Class Analysis predicts and explains why revolutions have occurred where they do. It explains why certain populations will be more revolutionary than others. It predicts which populations will have potential to make revolution and which ones do not. Our analysis fits with everything we know about the experience of real revolutions and events like the non-revolution in Paris, May 1968. People went back to work for raises, despite the rhetoric. The Paris, 1968 ending was entirely predictable. Our analysis also predicts and explains the motions of the enemy classes that we see everyday in the media’s coverage of current events. We explain the sweep of history in a more accurate and refined way, drawing on Marx and others, obviously. All-powerful, awesome Leading Light Communism is the key to the past, present, and future. 3. You were talking about worlds, zones, and so on. You seem to be introducing a geographic dimension to class. Can you elaborate? “Who are our enemies? Who are our friends?” are the first eight words of Mao’s Selected Works for a reason. Mao called this the “first question of revolution.” Class analysis, understanding friends and enemies, is the first task. Since Marx, the our understand of friends and enemies has become more and more geographic. What I mean is that friends are enemies are not just separated by wealth and social position, the proletariat has become more and more physically separated from the bourgeoisie. By the time of the Maoist revolution, revolution itself is seen as a people’s war that procededs geographically from the countryside to the city. Similarly with Lin Biao, the global revolution moves geographically from the global countryside to the global city. This is because human geography is reorganized around modern production and wealth. Within a country, wealhy people live here, poor people live there. 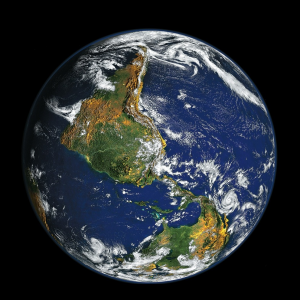 Globally, wealthy people live here, here, and here. Poor people live there, there, and there. You can see this very dramatically in some of the cities in countries like Brazil. You might have an outpost of the First World, a wealthy residential community, a business district, etc. walled off from the outside, which is still very Third World. It’s like a little First World fort from which to dominate and control the surrounding territory. You see this in Palestine with the Zionist settlers. They set up their guarded outposts, where they have a higher standard of living, while hostile Palestinians surround them. It reminds me a bit of pioneer commuities in North America. One sees a similar pattern in wealthy communities in China. In any case, even when there is close proximity of the First and Third World, the barrier separating them is often very pronounced. In these cases, it is a physical wall where guards patrol with automatic weapons. How should we see these wealthy communities in, for example, Brazil or China? Should we see such a community as simply a community of the Brazilian bourgeoisie who can be either patriotic or comprador? Such is the old Maoist type analysis. My contention is that this may be part of the story, but it isn’t the full story. Capital is more and more global, nation matters less and less, country matters less and less. Rather than seeing those who populate such communities as just the Brazilian bourgeoisie, we can see them and the communities themselves as outposts of the First World, part of the First World Empire. An extreme case of this would be the Green Zone in Iraq, where the Empire has literally built a city with a higher standard of living inside a Third World, occupied community in order to control and manage them. The nationalist, patriotic bourgeoisie is becoming less and less relevant. More and more, the world is not a collection of many empires with colonial possessions. Rather, power is mostly a single Empire that benefits, this First World includes populations of the old empires, but also First World outpost communities, military bases, management zones, financial zones, etc. in poorer countries. These communities, regardless of their national or racial makeup, are loyal to their First World way of life, and the global imperial institutions that create it, first. They are part of the First World system of control first and foremost, usually nationalist loyalties, if they exist at all, are very secondary. This is partially a consequence of a more unipolar geopolitics. The patriotic bourgeoisie is becoming less and less relevant because the wealthy people in the poor countries have less ability to maneuver, they have less bargaining chips when there is only one imperial choice. There are exceptions of course. Things are never set in stone. This is an emerging picture, the overall tendency is toward Empire. There are still remnants of the old world that Vladimir Lenin described. Some think an emerging Eurasian alternative, a Russia-China alliance, will block the emergence of global Empire for a time. Thus, they think, the traditional categories will still have scientific utility. Sometimes people frame it in terms of Kautsky verses Lenin, but this is way too simple. Lenin was exactly correct when he was writing. The scramble for Africa, the cycle of world wars, and so on. And it would be a mistake to see the emerging Empire as anything Kautsky could have foreseen. It would be wrong to project current reality backwards. In fact, it was, in part, the tremendous damage done to capitalist by the breakdown of the system, the world wars that Lenin predicted, that has forced the bourgeoisie to reorganize. The Bolshevik revolution was partially a result of the systemic breakdown of World War 1. Similarly, the Maoist revolution and decolonial struggles emerged because the old empires had so weakened themselves through their massive bloodletting. They could no longer hold onto their colonial possessions since they were so weakened. Partially as a result of world wars, the capitalists lost control of massive parts of humanity, they faced the emergence of socialism that challenged their rule at the global level. Just as revolutionary science – Marx, Lenin, Mao, Leading Light – advanced to meet new realities, so too did the science of oppression. The capitalists have reorganized their economies and power to try to avoid catastrophic wars of the past. The most obvious artefacts of this advance in capitalist science is the promotion of social democracy and international institutions like the United Nations. In any case, it boggles the mind that you have these revisionist dogmatists talking about 2014 as though it were 1917 or 1949, as though adherence to Leninist or Maoist dogma is the solution to the current problems the people’s movement faces. Of course, I understand that the opposite problem exists where there are loudmouths and egomaniacs promoting themselves as worldclass leaders but without really providing any real scientific answers. There are plenty of snakeoil salesmen claiming to have their own unique “new synthesis.” They are a dime a dozen. There is a big difference between proclaiming a scientific advance and really making one. And contrary to popular misconception, the loudmouths are not all white. However, just because there are fools in new clothing telling us to follow them does not mean we should follow the fools in outdated fashions and vice versa. Luckyily, our choice is not simply one between old fools and new fools, old dogma and new dogma. There is a real choice, a real road to the future, but it is not always easy to find or walk. Anyone who honestly looks at all-powerful, awesome, glorious Leading Light Communism cannot in good faith say that we have not done our work. I have done exactly what I promised I would many years ago when we first began. We have done exactly what we said we would do. It boggles the mind that some Maoists extended support to us when we were just talking about things, as soon as we really did it, they withdrew their support. Sometimes I want to point at our work and say “here it is on a silver platter, we have carried out the principal tasks as you defined them without any support from you. Where is your support now that we have been proven right? Who was it who used to talk about parlour pinks?” In any case, Leading Light Communism is a genuine scientific advance over the Marxist-Leninist and Maoist traditions. I have done exactly what I have always done. We really are integrating the most advanced science in every area of human knowledge into an all-powerful weapon that can be wielded by the masses. There are plenty of opportunists and careerists who will continue to mock us. There are some who do not like me personally who have let their personal dislike of myself or other leaders transform themselves into liars, wreckers, virtual and real state agents. There are some who have become jealous, bitter, little wannabes and second-rate gossip mongers. Others become ostriches who cowardly bury their head in the sand to avoid seeing the sunlight of truth. Others have produced attacks, very similar to those of COINTELPRO in the United States, except more pathetic and inept. They are big into gossip directed at Leading Lights. In general, we have more to worry about: State agents have tried to disrupt our logistical networks domestically inside Bangladesh. It is an old story. 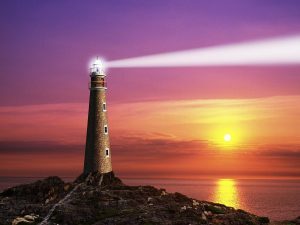 Many will try to raise themselves up by tearing down great leaders, Leading Lights. There are plenty of people on the wrong side of history. Talking to them is like talking to a brick wall. We have a saying: “let the yappers yap.” Yes, we have advanced science. When have we ever walked away from the challenge of proving it? If you want a good laugh, go and ask one of these dogmatists why they think their dogma is more scientific, then compare and contrast with our discussions. There is always going to be more false paths than the one true path. In class society, there will always be more liars than speakers of truth. It takes time. It’s a protracted struggle, as Mao taught. We have to have proletarian attitude about all of this. No quick victories. We have to be long marchers, day in, day out. In a mere few years, under very bad conditions, with little money, we have established a new global revolutionary movement. This is just based on the pure science, on the idea. Imagine how it’s going to take off once we solve more organizational and logistical issues. We are just getting started. This is an exciting time to be alive. We are writing history as others write plays. 4. Those who are awake, the serious people, congratulate you on all you have accomplished. It is astonishing when you think about it. Some are always going to bring it back to one issue: You are rejecting Marx’s categories for your own. Are you? There is always a doubting Thomas. And if I am moving beyond Karl Marx, so what? Marx should be seen as a scientist, not as a religious figure. Even Marx said “I am not a Marxist” on his deathbed. Most of those who claim to be Marxists today should not be seen as real Marxists. Rather, they are people who worship Marx, or Lenin, or Mao as one would worship God or a saint. No leader or writer is infallible. People are not perfect. Real Marxism is one and one thing only: the best science applied to the task of reaching the communist ideal, ending all systematic oppression. Science evolves. The best science is a science that is always evolving, advancing, becoming more powerful, able to solve more problems. Now contrast this with how dogmatists regard Marxism, Leninism, or Maoism. Their ideology is a metaphysics. It is stagnant, frozen. No innovation. Now, contrast their work to all-powerful Leading Light Communism. Some people confuse innovation with revisionism. If all innovation were revisionist, Lenin would be a revisionist who ruined Marxism. Mao would be a revisionist who deviated from Marxism and Leninism. Even late Marx would be a revisionist who deviated from early Marx. This is a completely incorrect understanding of revisionism. Revisionism is not just about changing or updating Marxism. It is about revising the revolutionary heart out of the science. Revisionism can come in many forms. It does not always present itself as an innovation. It can also present itself as preservation of the orthodoxy. When it comes down to it, revisionism is really just about deviating from the science, which means deviating from Leading Light Communism. Updating, advancing, is necessary for a science to survive, to say relevant, to not ossify into dead, frozen metaphysics. This reworking of basic categories is not exactly new. The Maoists were some of the biggest critics of revisionism. Yet Mao himself offered a new theory of class in his analysis of China. By the time of the Cultural Revolution, or the last years of Mao’s life, Maoists began to introduce the concept of the “new bourgeoisie.” This became applied to people like Deng Xiaoping or Liu Shaoqi by later-day Maoists. Did Liu Shaoqi or Deng Xiaoping own the means of production in the same way a traditional capitalist does? Could Deng Xiaoping sell a shoe factory to anyone he wanted? Could he give it away of his wife as a wedding present? Could he turn any factory in China into his personal swimming pool? Of course not. There were some similarities between the higher levels of the Chinese bureaucracy and the traditional capitalists, but also some differences. Hence the adjective “new” was used in describing this new bourgeoisie. The point here is that the Maoists had begun to separate class from the point of production in the strict sense found in Marx. They began to have a more complex view of class to match shifting realities. Similarly, in the United States, there is a situation where the old categories do not fit. A person in the United States might earn a wage in one job, yet might have an online-trading business to make extra money. They might also technically own the means of production through the ownership or stocks or through their retirement plan. On top of that, they partake of all kinds of public institutions that feed off of exploitation in the Third World. Some of these institutions they have some limited control over through the democratic process. Others they benefit from, but have less control over. At the same time, these ordinary people in the First World share the bourgeois way of life. Even if they do not own capital, they have access to it if they chose to liquefy their assets or take out loans. Just as the Maoists implied that the ownership of China’s productive capacity by the reactionary bureaucracy is collective, a similar process can be seen to have happened with ordinary people in the First World. They have complex relationships to production and distribution, but that relationship to production is less and less important. They partake of the benefits of being in the First World, the role of exploiter has been collectivized across whole strata and across whole geographic regions. It doesn’t really matter if they earn a wage or not. What is key is that they siphon off value unjustly from others or from the system as a whole. Whether that value ends up in their pockets through a wage or salary, in their pockets from a benefit payment, or a flow from a private sale, or if it ends up in an institution that they have a say in running or are benefiting from, of if they get a benefit by simply living in a geographic area, is not the main thing. The main thing is that they are exploiting others, what superficial form the value transfer takes is not as important. There are all kinds of ways exploitation happens, that value gets shifted around. And much of it is hidden from us. Just as it may not be immediately apparent how a man like Deng Xiaoping who earns a salary can be a part of the bourgeoisie, it may not be immediately apparent how a US worker can be. However, it is very important to look beneath surfaces. Just as Marx exposed a reality obscured by commodity fetishism, it is important to expose the reality obscured by dogma and privilege. Updating the science is fine, introducing new categories or changing old ones is fine so long as the new categories are better tools in terms of making revolution, as long as they have more predictive and explanatory power. Those who read Leading Light closely will know that Global Class Analysis not only updates our understanding of the First World, but also the Third World. Leading Light Communism also pioneers the theory of the New Proletariat and understanding the revolutionary demographics of the slums of Third World megacities. Again, this is a departure from the tradition that feels it is necessary to link class to the point of production. “But Marx said” is not a compelling argument against reality. Today, when the people’s movement is at such an impasse, it is the time for great leaders to come forward with real, true scientific advances, with Leading Light Communism. This is also why Leading Light Communism has been more well received in the Third World. The real proletariat in the Third World faces obliteration at the hands of empire. The impasse of the people’s movement has real consequences for them. Their sons and daughters are dying. Their land is poisoned. Finding a way out of the stagnation matters. Science matters. To put science back in the forefront of the people’s movement is to take back the future from those who have stolen it from us. This is why we say “our future is our own.” Now that the scientific breakthrough has been made, armed with the all-powerful sword of Leading Light Communism, nothing can stop us. Destiny is ours. 5. You said you were breaking things down in a simpler way in this interview so that you could be understood. Do you mean to say that what you are proposing here is a simplification? Because it is all very challenging. I’m simplifying things a lot here. We’ve introduced the conception of high and low science in my writings. There are different audiences for different ideas and presentations. Different people need to hear different things depending on where they are in the learning curve. Some people are more advanced than others. Some people are even more advanced. Some lights illuminate. Some blind. There is high and low science. Then, there is really really high science, science that is part of our deepest politics. It’s just not helpful to expose people to it at this point. People are not ready yet. Plus, it could expose the organization to attack. When people are ready, we’ll introduce higher levels when their eyes adjust a bit to the current light being shined in their faces, when they are ready. Someone recently described Leading Light as “Search and Rescue Team, Plato’s Cave.” This is very funny because she was not the first person to guess the other name of our organization. 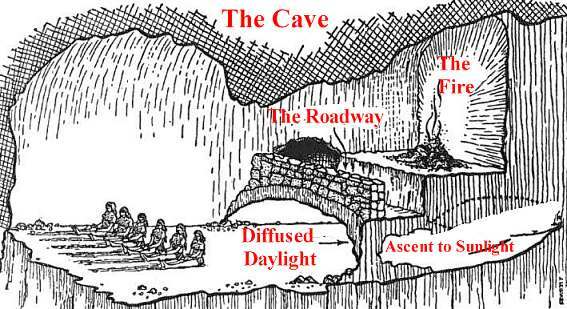 The allegory of the cave in The Republic is probably the most famous scene in all of philosophy. Socrates describes a scene where people are strange prisoners in a cave, chained to a wall. Because of the position of the light source, the prisoners only see themselves and objects as reflections on the cave walls. They mistake shadows for reality. All their lives they are mistaken. Imagine how difficult it would be trying to explain the outside world to one of the prisoners. Mao talks about the frog stuck in well. He looks up and mistakes the small patch of sky for the world. Imagine trying to educate someone who had somehow survived in a well their whole life about all the wonders of the world. Socrates points out that if one of those prisoners who had grown up his whole life in the cave suddenly was exposed to the outside world and sunlight, it would hurt his eyes, perhaps even blinding him until he adjusted. He would not immediately understand what was going on around him. Pain was the experience of Neo when he first woke up in the Matrix movie. All the world is a cave, illusions created by mind and class society. And leaving this cave can be blinding. This is how it is with truth, with real science, all-powerful, awesome, glorious Leading Light Communism. Some prisoners are still all the way in the deepest pit of the cave. Others are fumbling their way out. Some sit on the edge of darkness and light, like the Buddha of myth, refusing to embark to paradise before rescuing everyone else. Maoists used to say, “you cannot break every chain but one” In other words, all chains have to be broken to achieve true freedom. Similarly, Leading Light states that “nobody is free until we all are.” Socrates said those trying to rescue the prisoners would even risk their own death because of the ignorance of the prisoners themselves. And, Socrates did eventually meet that fate at the hands of the Athenian state. As Leading Lights, we, pledge everything in this great cause, even our lives. ← Is Leading Light Communism the path, the goal, or both at the same time?